Need a new wardrobe but don’t want to break the bank? Have too much old junk that’s taking up space? 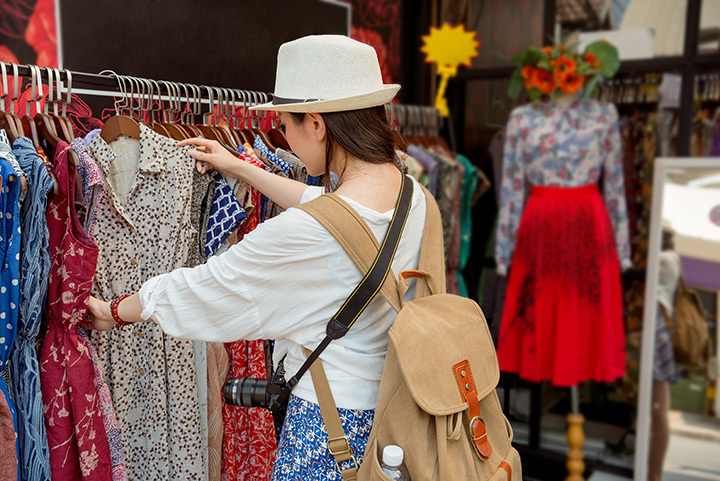 Whether you’re on the hunt for a good deal, vintage clothes, or simply wish to help the philanthropic efforts of the larger organizations behind many thrift stores, the following 10 are for you. The Sand Dollar Thrift Store in Houston, Texas is “the largest thrift store in the Historic Heights Shopping District.” With over 18,000 square-feet of merchandise, thrift store-goers can explore forever and always find cool new stuff. Check out their website for up-to-date specials. Genesis Benefit Thrift Store is a local favorite. Purchases at the thrift store benefit the Genesis Women’s Shelter and Support system, whereby women in danger receive outside help. Bring in your houseware, furniture, clothing, unopened cosmetics, electronics, and more to support this worthy cause. Thrift Town has been providing the thrift store-going people of Austin, Texas with wonderful options for the last three decades. They have a wide array of product including name brand clothing, shoes, fashion accessories, lawn care, CDs, maternity clothing, antiques, and more. You’ll always find something cool at Thrift Town. Thrift City is a local thrift store chain with locations in Richardson, Lewisville, Mission, and San Antonio. Their mission is to recycle while creating jobs and helping communities. Download the Thrift City app to sign up for their loyalty program and save on purchases. Assistance League El Paso is a register non-profit that has been in business for over 50 years. The thrift shop supports for their philanthropic programs, which includes assault survivor kits and providing clothes to underprivileged children. Caritas is a non-profit that provides clothing, food, travel and household items to those in need. They have two thrift stores, one in Waco and another in Bellmead, which support their philanthropic efforts. They accept clothing, electronics, household items, and more. CIS stands for Communities in Schools of South Central Texas and everything sold at the CIS Thrift Store goes to support this cause. They sell clothing, home décor, furniture, housewares, and electronics. They’re also accepting volunteers. Bearly Used in Keller, Texas is the thrift store branch of Christ’s Haven for Children — an orphanage caring for 40-some children at any given time. According to their website, “Bearly Used provides an organized venue for the material donations made to Christ’s Haven for Children.” They provide clothes, shoes, furniture, toys, and more. The Arlington Resale Store’s proceeds go to support the Metroplex Women’s Clinics, a place where women can receive medical help. They gladly accept donated furniture, housewares, toys, linens, and clothing. They even pick up large furniture with an appointment. For 30 years, the Christian Community Service Center’s Sunshine Resale Shop has helped offset the cost of providing programming to the community. They accept clothing, jewelry, furniture, house items, and collectibles, among other items. They also handle estate sales.